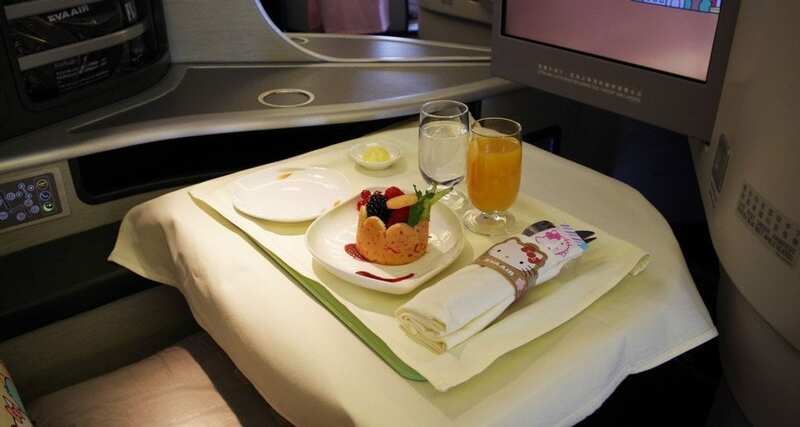 Some may say that this flight is way over the top, others may disagree. Our view? 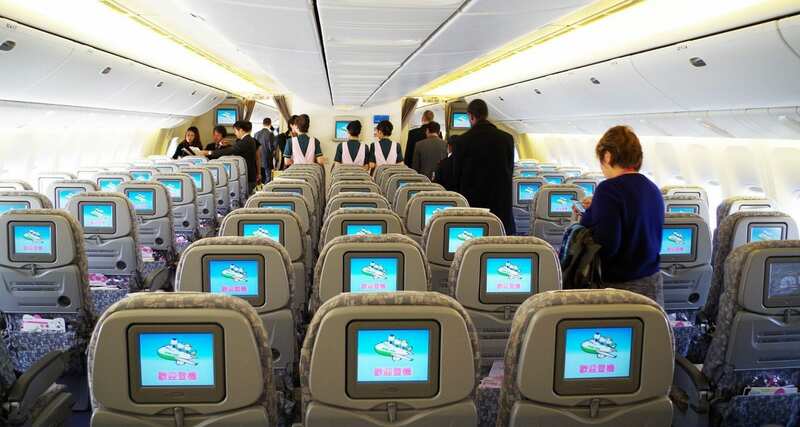 This is probably the happiest flight in the world! 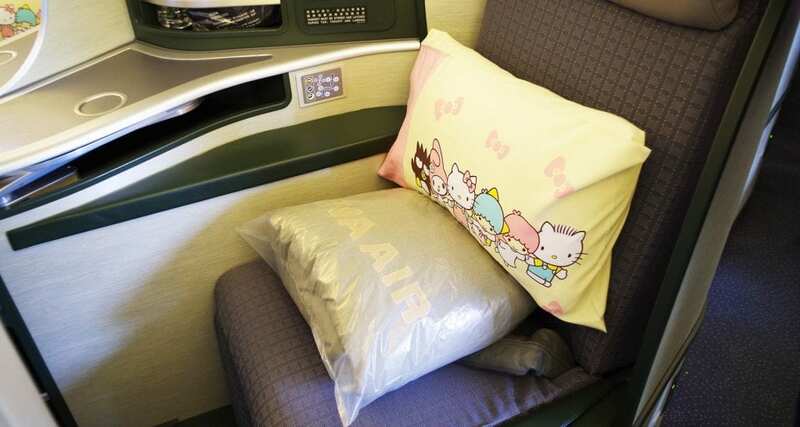 We’re talking about the Hello Kitty jets, which are operated on specific routes by EVA Air based in Taiwan. 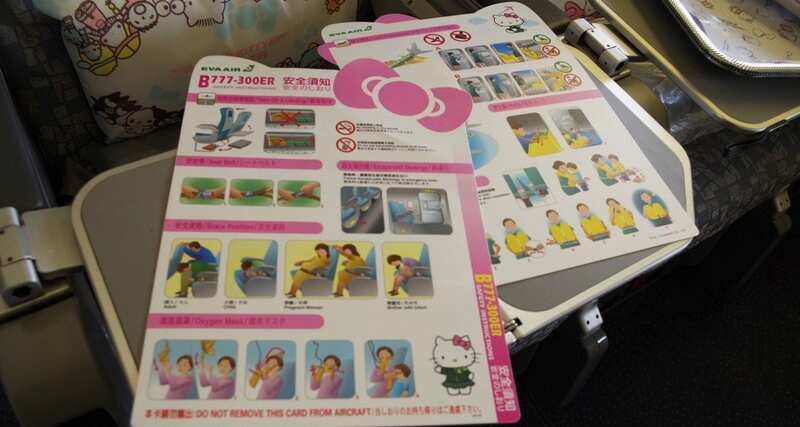 For the latest information on where these Hello Kitty jets operate, please visit the airline’s site here. 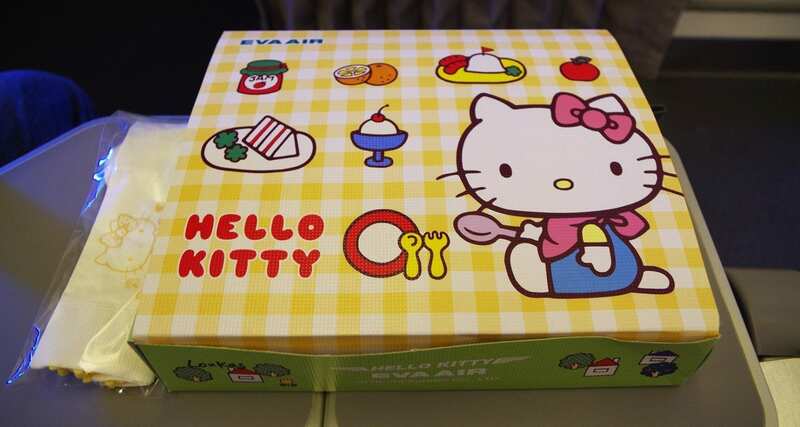 The kid’s meals are delivered first by the cabin crew and come in this great box. 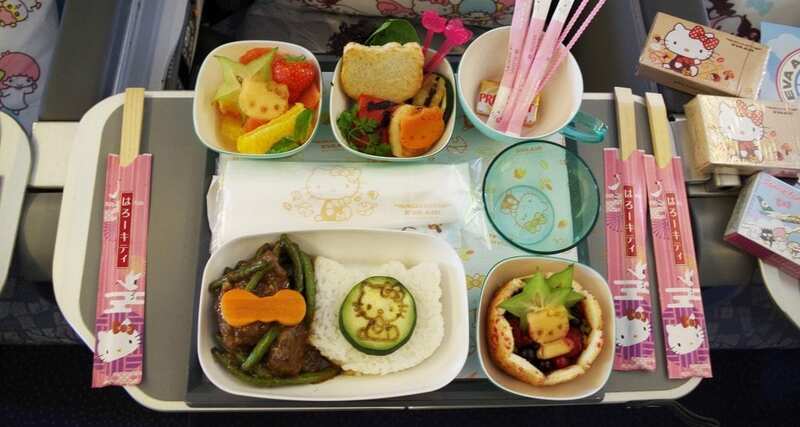 The first thing that you notice is the Hello Kitty faces made out of the vegetables which are standard across all meals inflight. Pasta and meatballs served with a potato salad, fresh fruit, chocolates, and a chocolate brownie. Pancake with chicken served with a pasta salad, fresh fruit, chocolates, and a chocolate brownie. 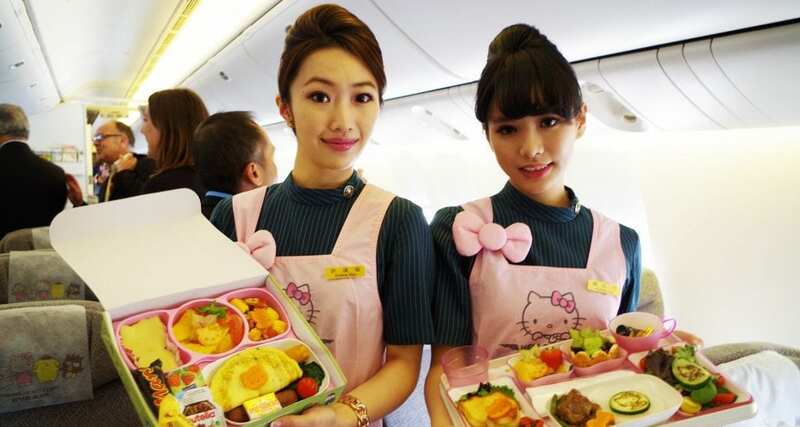 The regular economy class Hello Kitty meals. Chicken with rice and seasonal vegetables served with pasta salad and a chocolate cake. My favourite? The kid’s meal. Not only were they creative, colourful and entertaining but the portions were quite large. 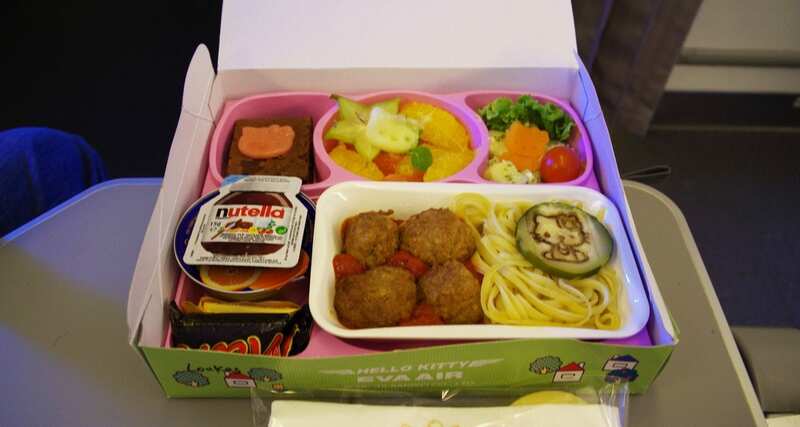 If I had to narrow it down further the pasta and meatball option was tastier than the pancake option, the regular economy class meals were delicious also, but it’s hard to beat those great looking kids meals. 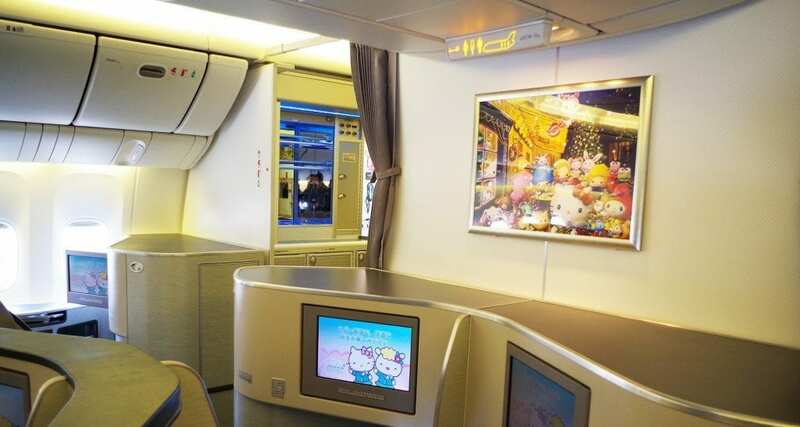 NOW WATCH – THE HELLO KITTY JET EXPERIENCE!